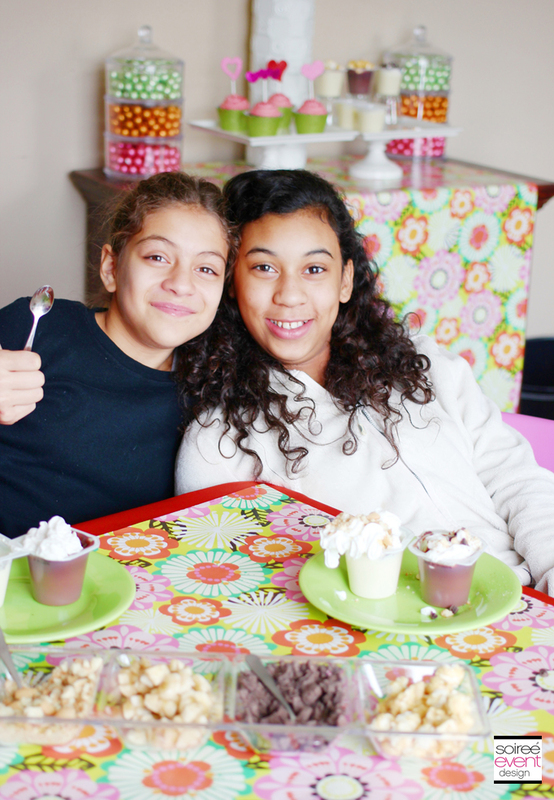 Valentine’s Day Party for Tweens! Hey party peeps! Valentine’s Day is fast approaching and I wanted to do something special for my tween daughter and a few of her friends this year that didn’t feel too kiddie. If you have a tween girl at home, you know what I’m talking about–that never ending struggle between wanting to be a teenager but not quite old enough yet! 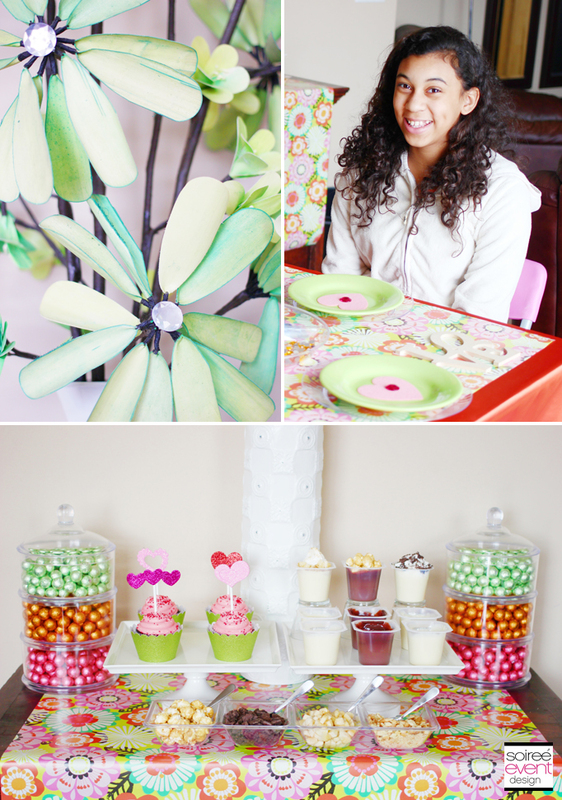 Check out my Ideas for a Valentine’s Day Party for Tweens. This party’s decor actually was inspired by a roll of wrapping paper I found at Walmart! 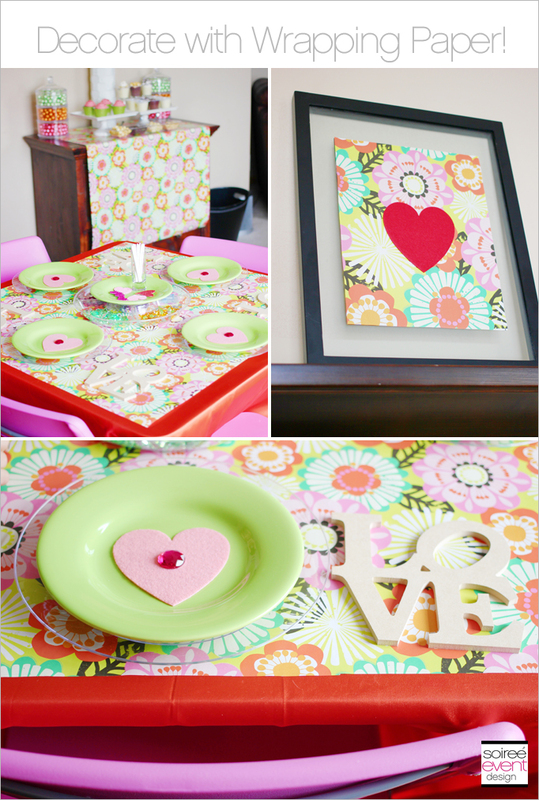 The pattern was bright and festive but not overly kiddie and traditional for Valentine’s Day. I knew my tween daughter and her friends would love it! GIRLFRIEND TIP: Decorating with wrapping paper is not only easy but SUPER AFFORDABLE and clean up is a breeze since you just throw it away! 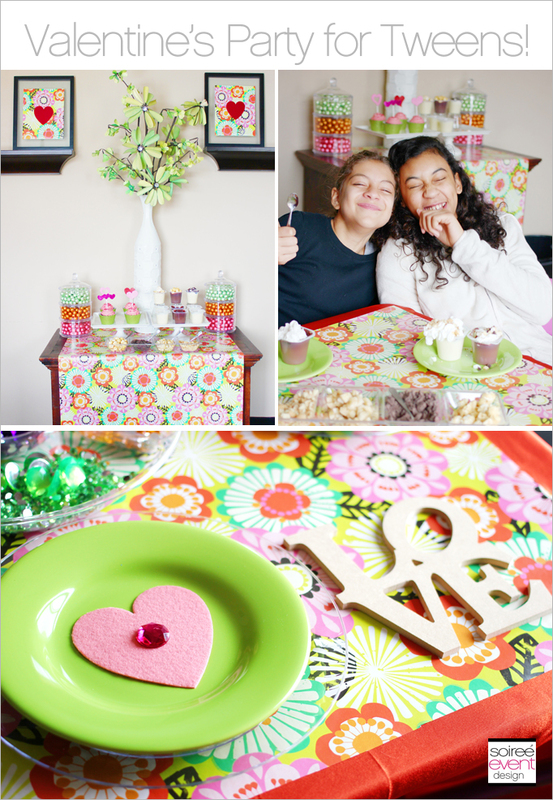 One roll of wrapping paper for $4 was enough to create a fabulous table runner for both my dining table and sweets bar and I also used it to create custom art. I simply cut the wrapping paper to the size I needed and for the custom art pieces I just added a red felt heart in the center to bring in a Valentine’s look and feel! DESIGN AN INTERACTIVE SWEETS BAR! Tweens are all about wanting to do EVERYTHING themselves. So, this idea is perfect for them! 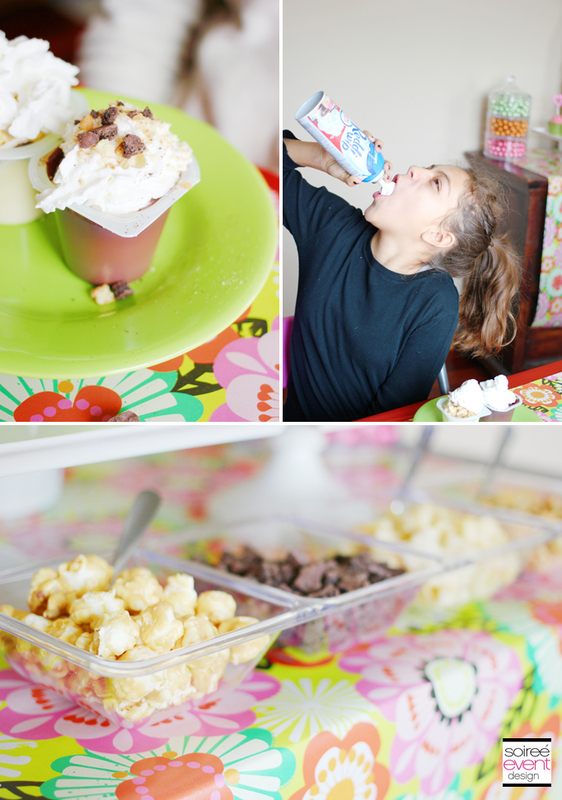 Snack Pack Pudding Cups are a staple in our house. They are perfect to put in my kids’ lunch boxes as they don’t require refrigeration and they have new Easy Open Lids which makes them super easy for the kids to open when I’m not around. To give these a special twist for our party I designed an interactive sweets bar where the girls could choose from mix-in toppings like Crunch n’ Munch Popcorn, fresh chopped bananas, crushed vanilla and chocolate cookies and Reddi Wip to create their own yummy treat! 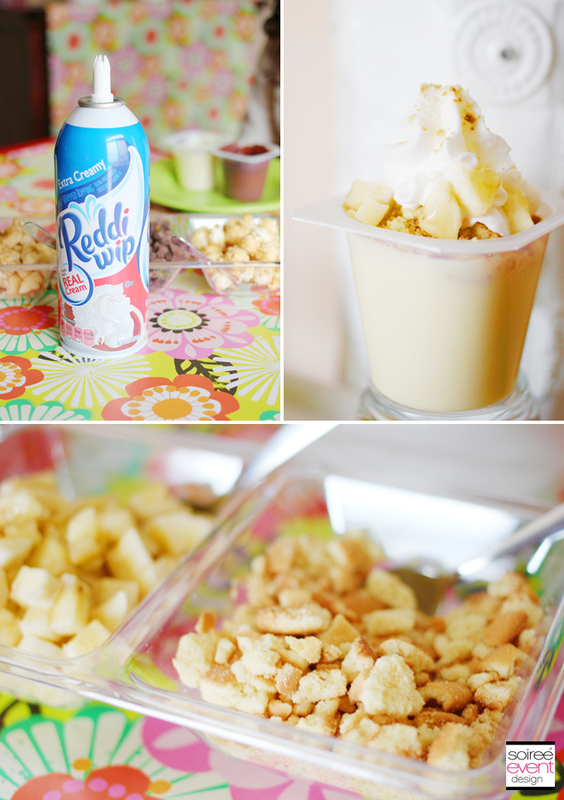 My personal favorite was the vanilla pudding topped with whipped cream, fresh bananas and crushed vanilla cookies! YUMMY! GIRLFRIEND TIP: Okay, so clearly giving a can of Reddi Wip to a bunch of tweens is not the smartest thing as they apparently love to spray it directly in their mouths! Gotta love it! 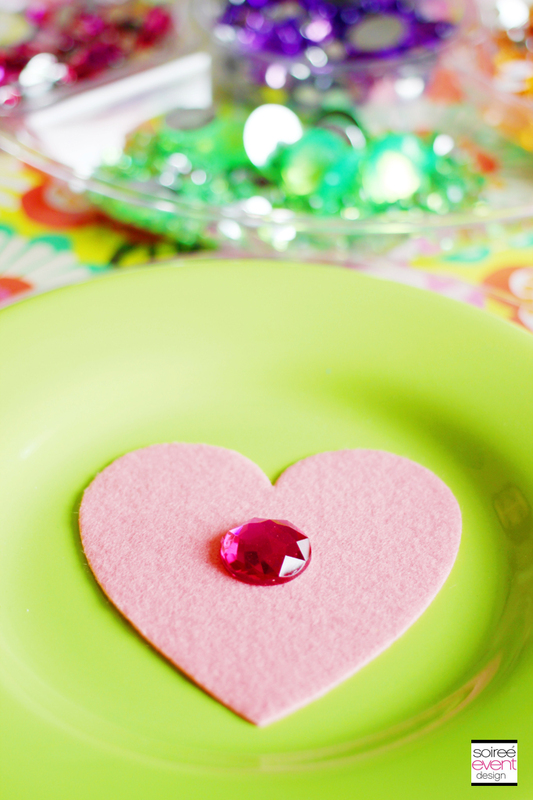 TWEEN FRIENDLY VALENTINE’S DAY CRAFTS! How cute are these wooden LOVE cutouts by Cut It Out! Pair them with sparkly rhinestone stickers and you’re set! The girls had a blast creating their own sparkly LOVE creations! My daughter’s is now displayed in her room. Now this idea couldn’t be more easy! Simply remove the backing from a heart shaped glittery sticker and stick it to the top of a lollipop stick! 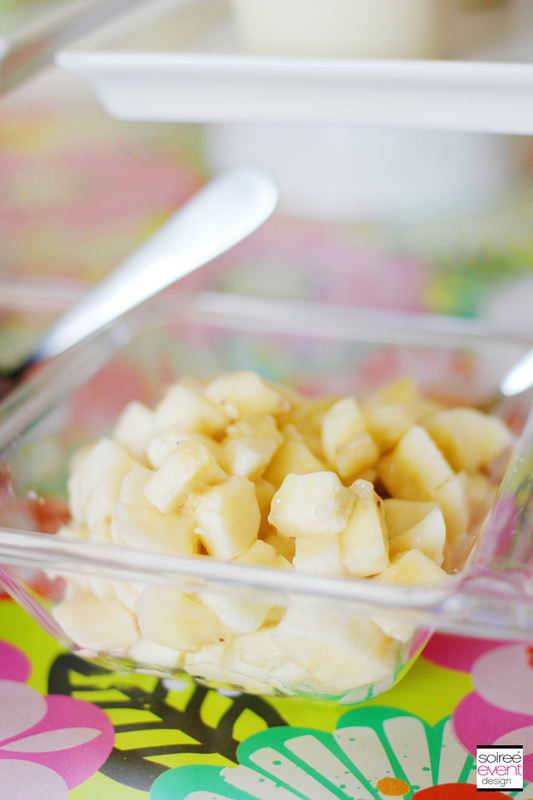 SERIOUSLY that easy, inexpensive and SUPER CUTE! I was able to pickup most of what I needed for this party from Walmart. 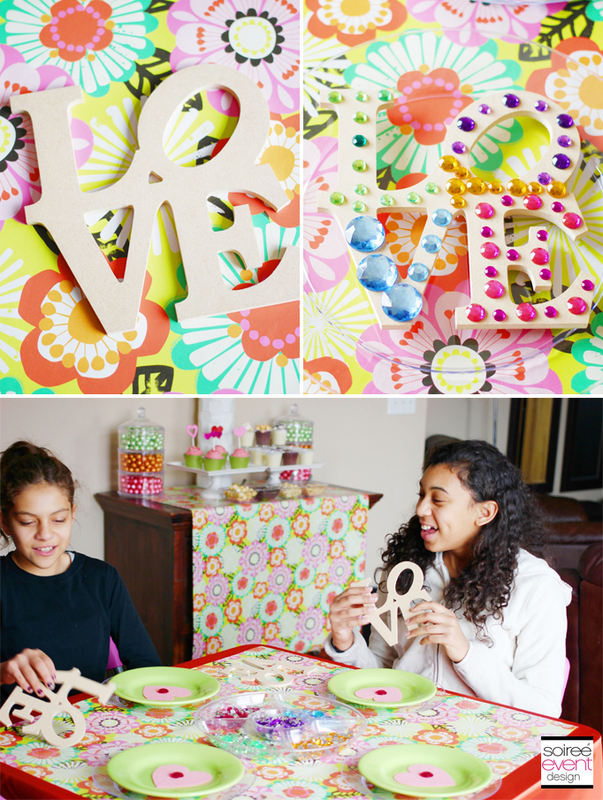 Check them out to snag up some of the fabulous decor items used in this post and host a Tween Party of your daughter. WHAT DO YOU DO FOR YOUR TWEEN FOR VALENTINE’S DAY? 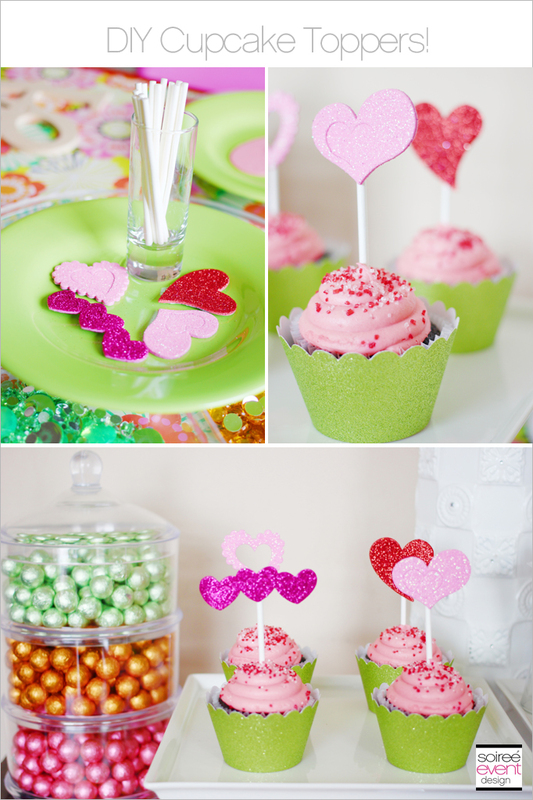 WANT MORE VALENTINE’S DAY PARTY INSPIRATION? Check out my VALENTINE’S DAY IDEAS PINTEREST BOARD for lots of Valentine’s Day inspiration. Follow Soiree Event Design’s board Valentine’s Day Ideas on Pinterest. Want to get more of my “Girlfriend Tips” and party inspiration? Be sure to SUBSCRIBE TO MY BLOG HERE so you can get all my blog posts delivered right to your email’s inbox so you won’t miss a thing! Subscribing is easy! Just CLICK HERE and be sure to confirm your email address once you get our confirmation to your inbox! That’s it! AND…you’ll get a code for 10% off your next order in our shop. Looks like Faith enjoyed this! yes tweens are hard and indecisive. I like how you used the wrapping paper to decorate. I love the “sweets bar”! 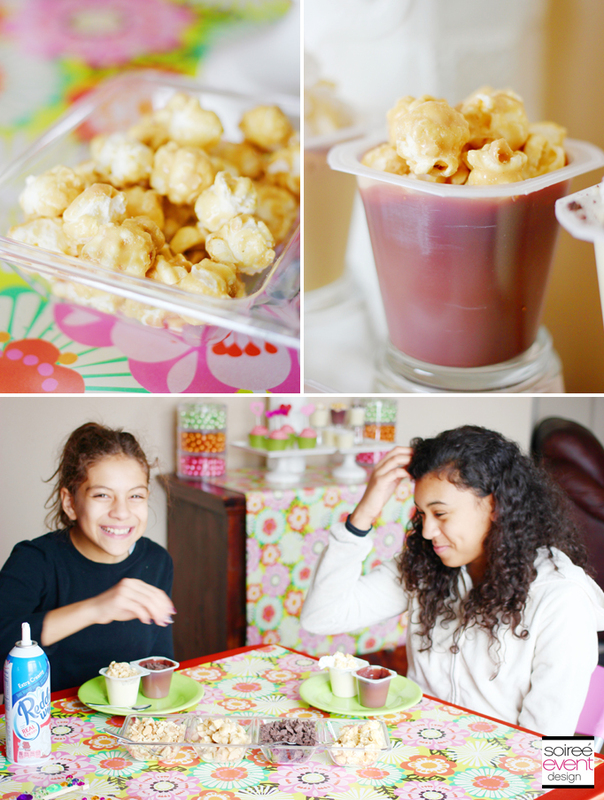 What a great idea to use the pudding cups as the base for your tween’s treats! I love the idea of decorating with wrapping paper. Great idea. I always get the best ideas from you. Love that you used wrapping paper, and that snack bar is awesome! 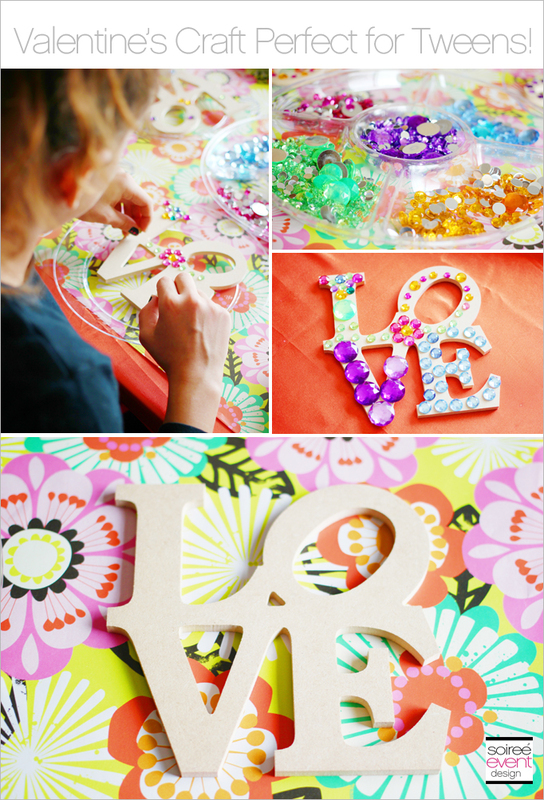 Decorating the LOVE sign is such a cute idea! I love all the colors you used in your party–so pretty! what a great idea for tweens. I need to search your blog for ideas for a 15th birthday party theme. I love the snack bar. I would love to be eating some of those goodies right now. I also love the crafts. The embellished love cut out is really cute. Can I be a tween again and come to your party! It looks like a lot of fun! What attention to detail. I love all of the decorations. I bet the kids did, too. Sometimes I look at my toddler and preschooler and wonder how long until they are tweens and I can do all of these great crafts and parties with them. Today is one of those days, looking at your stunning photos and happy kids! I’m definitely going to try the wrapping paper idea for table runners. There’s such pretty paper to work with! Great ideas for a party! Love Valentine’s Day!! I’ve decorated with wrapping paper for the holidays but never for a regular party! That is such an easy idea to use! This looks like so much fun. This would be a great idea for me to try with my sunday school class.. 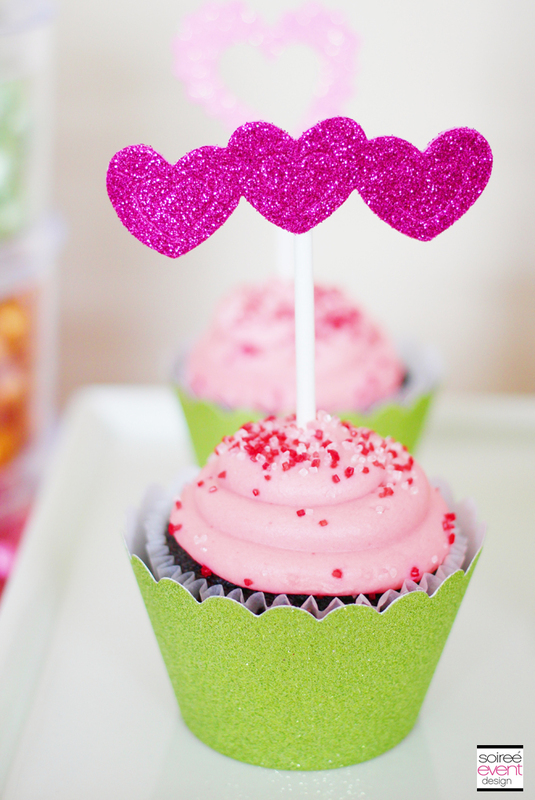 The cupcake toppers are such a cute idea! I will be making some toppers! 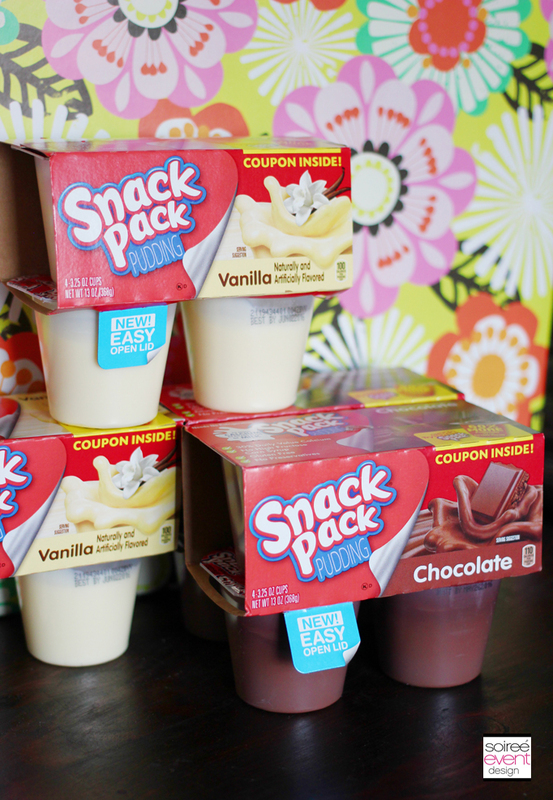 Lovin the snack packs and party ideas! I have an almost tween in the house so, it’s time to start thinking about more mature ideas when celebrating the holiday. 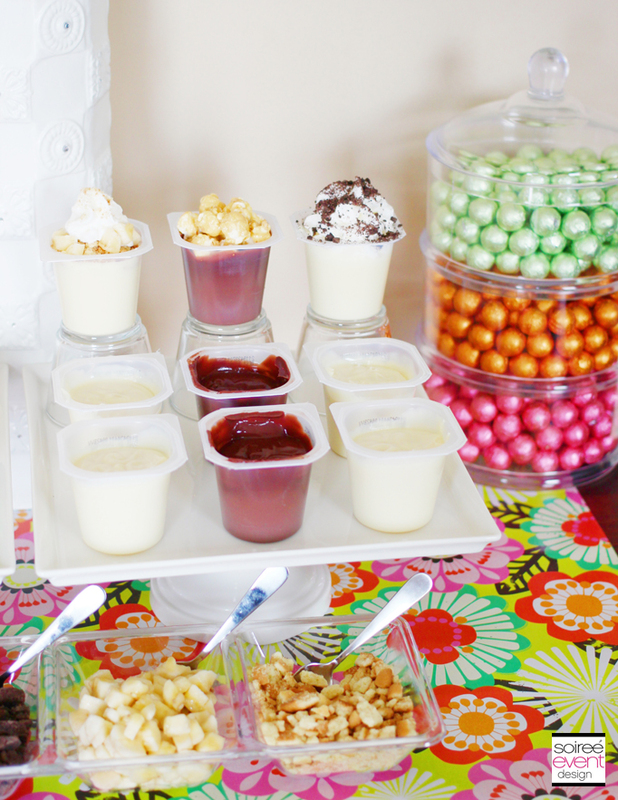 The sweet bar and the snack pudding does make valentine’s day party extra sweet. It looks like they had a lot of fun with the party concept and food. Love these ideas. I love the tip about decorating with wrapping paper. Genius! Oh what a great party. Valentine’s is such a fun holiday and isn’t just for ‘lovers’ but for love… to show friends and family how you love them… what a great way to celebrate. Thanks for sharing. Very cute as always!!! I love doing wrapping paper too! Such a great tip!!! Love the idea of decorating the wrapping paper. The girls look like they are having lots of fun . Glad to know that I still have quite a few years of parties ahead of me! Love the colours and your photos are so sweet!! Alright, I’m an adult and I would love to go to that party. It looks like a blast. These are such great party ideas!!! I love the snack bar idea, looks like everyone had a blast!! Everything looks great. I love the pics, they look like they’re having a blast. These decorations are perfect. I remember when my mom would have Valentine’s Day parties for my sister and I and our friends when we lived in New York. I’m not a tween, but I wouldn’t mind an interactive sweets bar. Haha! What an adorable party and sweet treat ideas! I love how many different things you can do with pudding cups! I have never thought of doing a sweet bar with pudding! This would be great for my sons next birthday party. Totally keeping this idea for then! This is the cutest party I’ve ever seen!! Can I come to it even though I’m not a tween anymore haha!! 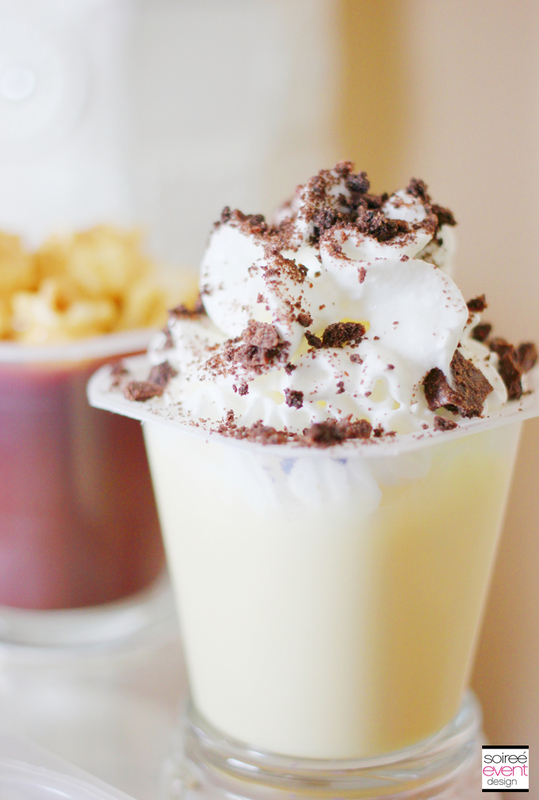 I love all the different things that you can do with pudding cups. Makes me wish I had some. Thank you for linking up on Moms and Munchkins! These are such great ideas. I have a tween and I never know what to do for her. She is starting to think everything is too babyish. The wrapping paper is a cute idea. 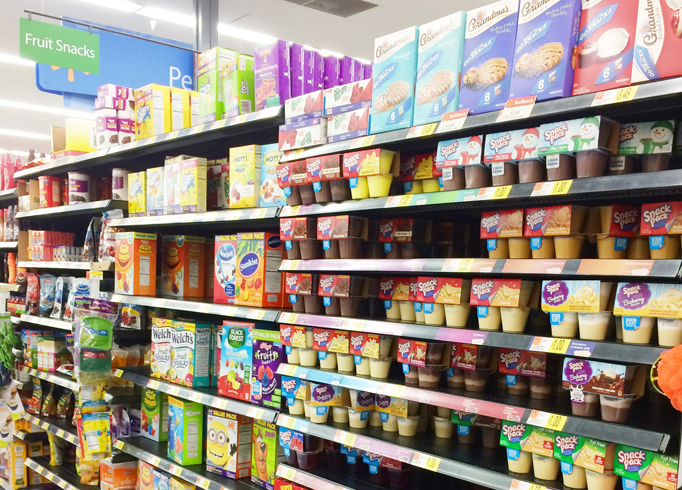 My daughter would love all of these snacks. This is such a great idea– it’s always so hard for me to think of party ideas for my teen son. He is so blah and I’m a big party planner. I love the idea about using wrapping paper, there’s so many great patterns and colors so why not use it. OMW!! This party looks amazing!! I love all the details, from the paper to the treats. It is so cute and perfect for tweens. My tweens are not keen on celebrating Valentine’s Day. But I remember my oldest boy inviting some of his friends last Feb 13. What a cute party! My oldest daughter will be 13 This month, and I know she would think this is the coolest! I love the idea of a pudding bar. Using those pudding cups are very clever. How fun, the kiddos would love this. I like the idea of decorating with wrapping paper, looks pretty and inexpensive. Gosh, just getting over New year and already Valentines day is coming up quick. This would be a blast! That pudding looks amazing. Wow! Gorgeous photos. That’s a great idea to decorate with wrapping paper. Very cost effective, too. 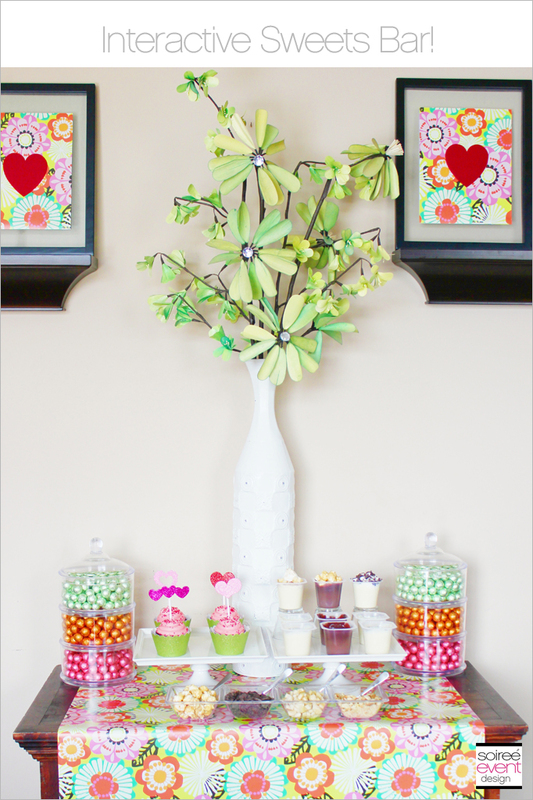 My tween daughter would love a sweets bar! I love the bright colors!!! I view valentines days as love for everyone I love not just my husband. Those cupcake toppers are the cutest thing since kittens. Perfect for tweens. Wow. Thanks for sharing all these fun and creative ideas. The sweets bar is especially brilliant and perfect for Valentines. Omgosh, this is way too cute!! The interactive sweets bar is the cutest!! Great tips! loved the decor and sweet bar idea. Looks like a cute party. I think those are all awesome ideas! The girls will love these for sure. The hearts on the plate are so adorable! Looks like a great time! Thanks for the ideas! Sounds like an awesome party I really love all the ideas. I want this for my Birthday of my son. This is such a cute idea. I never would have thought to use wrapping paper to decorate. But will have to try it. What a fun Valentine’s Party. As they get older it is a little harder but I love the idea of the decoration with paper in the frame. That would make an awesome decoration year round in a room. Plus how can you go wrong with pudding and whipped cream! As always your decorating is always on point and lovely the ideas for Valentine’s Day. 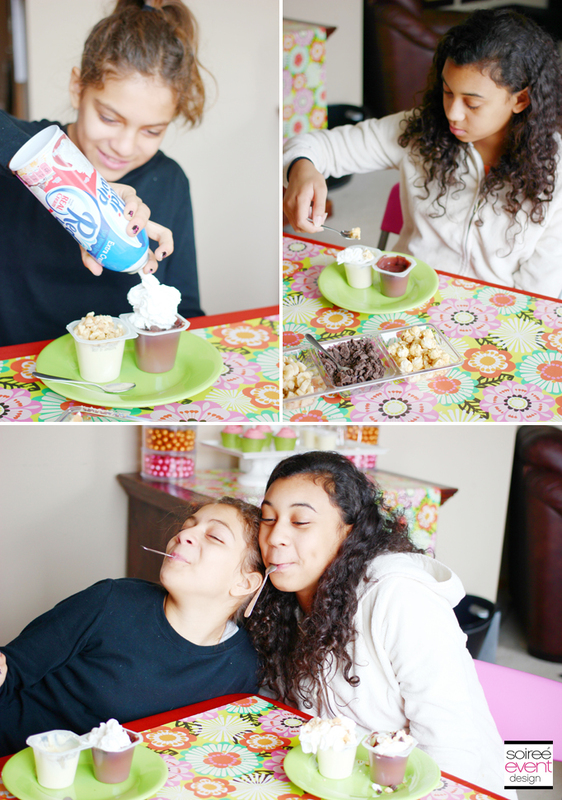 I’m pretty sure that my tweens will surely love this fun and cute idea! How time flies. We were all just writing blog posts about the holidays and now it’s almost the day of hearts. The wrapping paper idea is amazing. Do you have any recommended texture? I was thinking the glossy ones won’t look so nice if used as a runner. These are fab ideas. i never thought of using wrapping paper in this way and think it would be such a fab idea. i may have to try this with my daughter thus Valentines. love these ideas. my daughter asked for a party this year. may use this. I LOVE the idea of using wrapping paper for party decorations! I’m definitely going to try that in the future. I am a wedding and party planner, and I plan these events all year round. So great to see more inspiration. 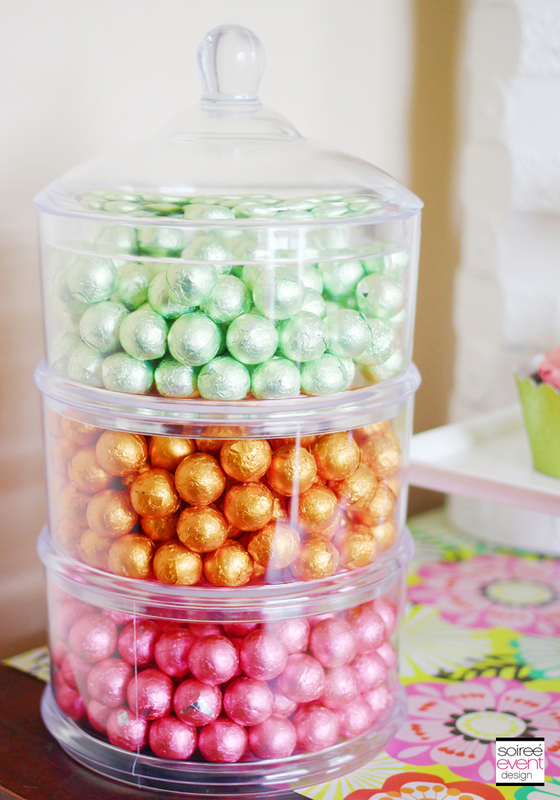 I am currently planning my own event – my baby shower and I will incorporate some of these into it. Especially the candy buffet! I don’t have any tweens and definitely only have boys, lol. Looks like they had fun though! Such a fun party idea! My best friends birthday is Valentine’s Day. My daughter is only 18 months old but I would love to do something like this for her when she is older. Your pictures and your ideas are so creative ! Absolutely love the decor! Omg I’m dying these idea are so cute. I love everything about it especially the cup cakes. My favorite. I love the pictures It looks like your kids had a blast! Especially with the food, lol.